With a strong desire to offer natural care to patients without the use of drugs or surgery, Dr. Marks decided to become a chiropractor. He cares for people of all age groups, from infants to the elderly. 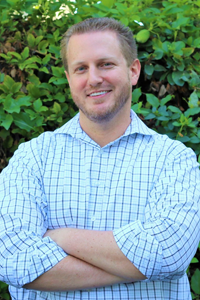 He is passionate about educating patients on the benefits of chiropractic care and overall health and wellness. Dr. Marks attended Southern California University of Health Sciences (Los Angeles College of Chiropractic) to obtain his Doctor of Chiropractic. While at the University, he enjoyed learning from exceptional doctors and applying what he learned into treating his own patients. Discover how great you can feel with safe and effective chiropractic care. Contact us today to schedule an appointment!